Did you know that eye problems may indicate an unhealthy liver? According to Traditional Chinese Medicine (TCM) there is a strong relationship between the health of your liver and the health of your eyes. Improving the health of your liver can often help to prevent or ameliorate eye conditions. According to TCM, liver blood deficiency can cause problems such as blurry vision and other vision problems, short-sightedness (myopia), dry eyes or floaters in the eyes. Excess liver heat can cause painful, burning and bloodshot eyes. According to Western medicine, the liver is the main cleanser and filter of your bloodstream. Every toxic substance that enters your body eventually ends up in your liver, which attempts to break it down and prepare it for excretion. Glutathione is a powerful antioxidant that is manufactured in your body, especially in your liver. The production of glutathione requires n-acetyl cysteine as well as the mineral selenium. The better your liver is at detoxification, the fewer toxins you will have in your body. If your liver health is compromised, you will have a greater quantity of toxins running around your bloodstream, causing free radical damage and wear and tear to your organs and tissues. 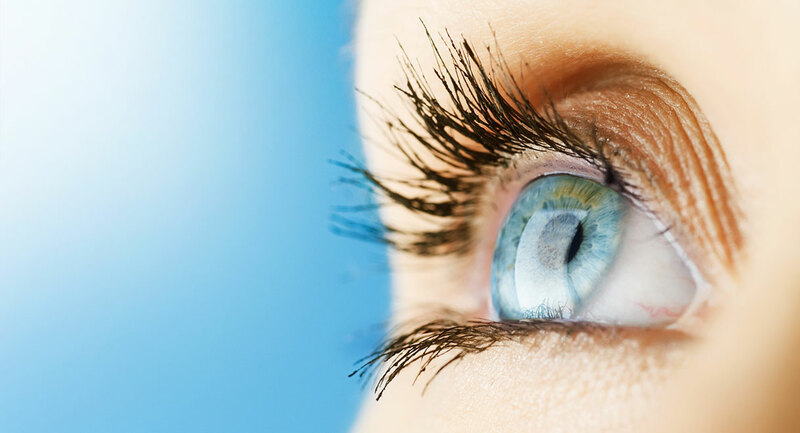 The delicate retina and macula in the eyes are particularly vulnerable to free radical damage, and this can have a devastating effect on vision. Free radicals can attack the retina and result in the breakdown of healthy tissue. Cigarette smoking, a lack of fresh vegetables and fruit in the diet, heavy alcohol consumption, high blood sugar and the consumption of margarine and vegetable oil are all known risk factors for vision loss in people over the age of 50. People with compromised liver health such as fatty liver disease, hepatitis, cirrhosis or alcohol induced liver inflammation are also at risk of vision loss and poor eye health. In many instances, people with compromised liver health are not aware they have a problem because they may have very few, or no symptoms. However, eye conditions or eye discomfort can be a helpful early warning sign that you need to pay attention to your liver. Nearly every one of our patients who completes a liver detox remarks that their eyes are looking noticeably clearer, they experience less discomfort and dryness in their eyes after staring at a computer screen all day; their eyes are less irritated by grass and pollen; they don’t seem to need their reading glasses as much, or their contact lenses don’t seem to irritate them as much. Perhaps it’s time you gave your liver a helping hand! Eat plenty of raw vegetables and make raw vegetable juices regularly. Vegetables contain a plethora of antioxidants that you cannot obtain any other way. Try to include as wide a variety of vegetables in your diet as possible, as the different pigments that give vegetables their color are powerful antioxidants. Fruit is beneficial too but should be limited to two pieces per day, as it is fairly high in sugar. Lutein and zeaxanthin are two specific antioxidants found in large quantities in the lens and retina of the eyes. Research has shown they help to reduce the risk of macular degeneration. These antioxidants are found in kale, spinach, broccoli, corn and egg yolks. There are raw juice recipes in the book Raw Juices Can Save Your Life. Avoid substances that you know are harmful to your liver, such as excess alcohol, sugar, junk food and omega 6-rich vegetable oil and margarine. The healthiest oils to consume are olive oil, macadamia nut oil, cold pressed coconut oil, ghee and fat from pastured animals. Take a good quality liver tonic. In today’s polluted world your liver has to deal with a far greater quantity of toxins than if you were alive 100 years ago. Your diet will not always be perfect either; therefore a good liver tonic is essential. Livatone Plus contains the powerful herb St Mary’s thistle. This herb is an antioxidant, improves liver detoxification and can even help to repair damaged liver cells. Drink green tea regularly. Green tea contains powerful antioxidants and it helps to reduce the risk of developing a fatty liver. Take a selenium supplement. Selenium is required for the production of the body’s own antioxidant glutathione. This improves detoxification and reduces the amount of toxins circulating in the bloodstream. Take care of your liver and you can be rewarded with bright eyes and clear vision.